It does not yet have an official name and is known only as number 27-4. It can absorb radioactivity from liquid nuclear waste. Scientists say they need tonnes of it and so far they have only discovered a few grams. But they are confident that they can chemically reproduce it on a much larger scale. 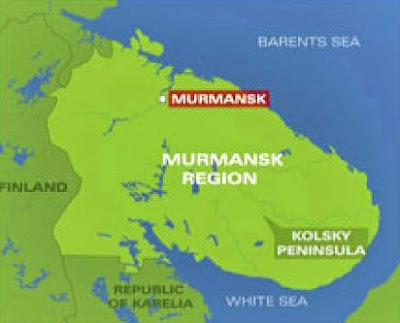 Every year ten new minerals are discovered in the Arctic Circle, and one third of all worldwide mineral discoveries are on the Kolsky Peninsula. The latest find may prove to be extremely significant for the nuclear industry. Video. If it came from this earth then there is something on earth that will perish it ! seems only to be slightly true in the face of our abundant global resources of U235 et al. Nevertheless, 27-4 is merely a small step towards finding a way to deal with all nuclear wastes since the active half life of U235 is a mere 250 million years !